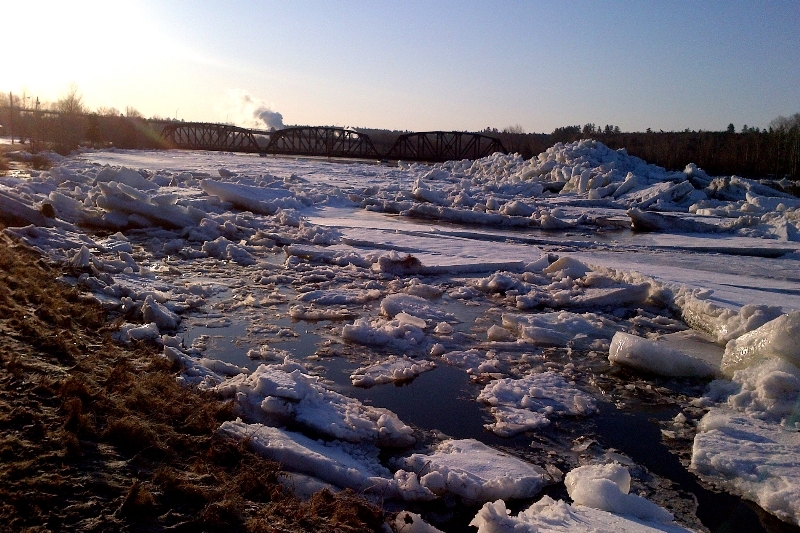 The River Watch program officially started on Monday, March 13th, to provide New Brunswickers with information on the status of rivers, potential risks of ice jams, and other flood issues across the province over the coming weeks. The River Watch program is a joint effort between the Department of Environment and Local Government and the New Brunswick Emergency Measures Organization. Other partners include NB Power, watershed groups, and federal, provincial and state agencies involved in monitoring and forecasting the water flow in the province’s rivers and streams. Each morning officials will receive a weather briefing, collect data from various sources, and use that information for river modeling and forecasting. The public will then be informed of any potential risks that are identified. Weather warnings, traffic advisories and road conditions are also available online.